For the past two months, Empire actor Jussie Smollett has been a major topic of conversation across the country. The ongoing controversy surrounding the 36-year-old’s claim that he was the victim of a hate crime has left fans wondering whether the singer’s character, Jamal, will continue to appear on the Fox show. Viewers have been so preoccupied with Jamal’s fate that they were blindsided by Andre’s terminal cancer diagnosis in the March 27 episode. 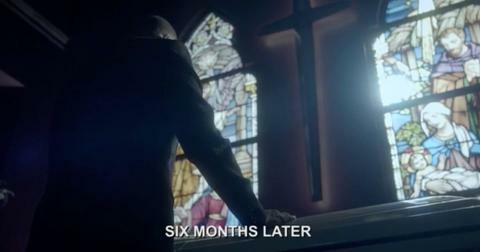 Was it his casket that we saw in the flash-forward at the beginning of Season 5? Here’s what we know based on the clues we’ve been given. 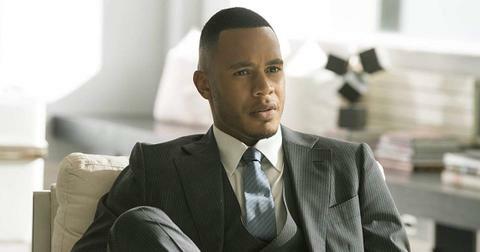 Sadly, things aren’t looking good for Andre, who’s played by Trai Byers. When telling girlfriend Teri about his stage 4 advanced lymphoma diagnosis, the former Empire Entertainment CFO revealed, "I’m dying… [I have] a few months at best." Though we immediately jumped to the conclusion that Lucious was mourning Andre’s death in the flash-forward from Episode 1, we can’t discount the flash-forward in Episode 2, which saw the FBI coming to talk to the hip hop mogul about a murder. If Andre dies from cancer, we may be losing two characters at the end of this season if another one gets murdered. "We cannot definitively say that Andre is in the casket," showrunner Brett Mahoney shared in an interview with EW. "But we can say that Andre is certainly facing dire circumstances as we move forward…"
If Andre does get killed off the series, fans shouldn’t be too surprised. Rumors have been circulating for over two years that Trai wants to leave the show. Back in 2016, the 35-year-old denied that he was quitting, but admitted to some irritation with his story arc. "Andre is a very complicated character. And my approach is complicated as well," he explained to EW at the time. "The character is going through spirituality, trying to find his identity. How do we get to the truth but still keep it interesting and still fit into the world of Empire? I think that’s where the frustration lies." Co-creator Lee Daniels added, "I think we were struggling for story for him, and I think he was concerned." So, will Season 5 be Andre’s last? We’ll have to wait until the finale to find out. 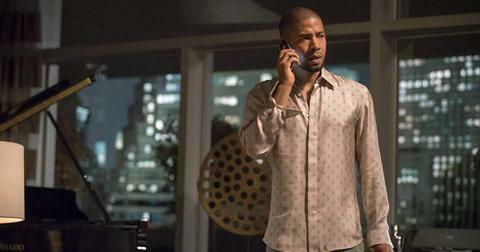 Is Jussie Smollett returning to Empire? We still don’t know what Jussie’s future with the show looks like, especially after all the charges against him for allegedly filing a false police report were dropped last month. But we do know that he won’t be appearing in the season’s last two episodes. "It definitely was an unexpected wrench to have to take the character Jamal out of those final two episodes, just because he is an important part of the show," Brett explained when the investigation involving Jussie was still ongoing. "But, luckily, we have such a strong ensemble and so many stories to tell." The executive producer added, "So often when you get towards the end of the season, I have so much story to tell that sometimes having to take something out means having room for something else that I’m just as passionate about, so we were able to make that work." Watch new episodes of Empire Wednesdays on Fox. More Than One Kardashian Has a College Degree — Can You Guess Who? Will Queen Latifah Return for Season 4 of 'Star'?